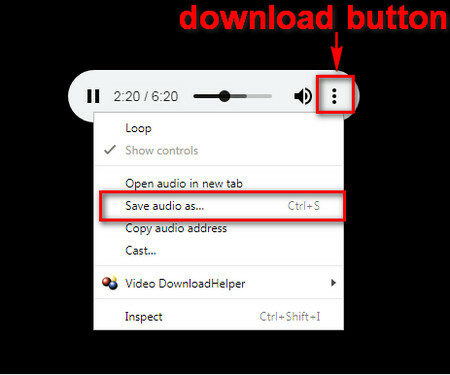 If you are still looking for some ways to download audio from Tumblr, then, you may have noticed that there are two common solutions being mentioned. One is using TumTaster browser plug-in, the other is using some audio recording software to record the audio while playing. Unfortunately, the TumTaster is invalid right now. And the audio file captured with recording software always has some flaws, such as noise and quality loss. So is there any effective way to download music from Tumblr? Don’t worry. This guide is ready to help you. 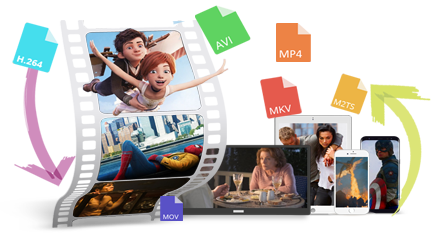 HD Video Converter Factory Pro enables you to easily convert all your audio files to different formats, like MP3 to AAC, MKA to MP3, etc. In addition to converting audio files, HD Video Converter Factory Pro is also good at converting videos to audio files, like converting YouTube, Facebook to MP3. From now on, converting audio is so much facilitating to us. The first free way to download music from Tumblr is with Chrome or Firefox. Its built-in web Developer Tool is a very convenient method for us to download music or videos from Tumblr, especially for those that are directly uploaded to Tumblr and have no available download links. The tool can help us find the true download links of the audio and video files and easily download the desired Tumblr videos or audio. Just follow the brief steps to save audio from Tumblr. Step 1. To download audio from Tumblr, first, open your wanted Tumblr music post. Then, right-click a blank area of the page and choose Inspect/Inspect Element, or you can directly press F12 to open the inspect interface. Step 2. The next step to download Tumblr audio is to first click the Network option on the menu bar and select Media tab. Then, press F5 to refresh the page. Next, click the play button to play the music. 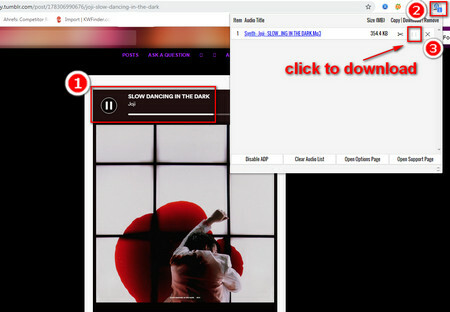 The true download link will be displayed in the Media tab. Step 3. Right click on the download link, choose Open in new tab, then there will be a Tumblr music player. Now, you can click the download button or just right click on the music player to download Tumblr audio. Besides using the built-in developer tool of Chrome or Firefox, you can choose some browser extensions to meet your Tumblr music download needs. Here, we introduce to you one browser add-on which is an alternative to TumTaster: Audio Downloader Prime. With this Tumblr audio downloader, you can easily download Tumblr audio. Now, let’s take a look at how to download audio from Tumblr. Step 2. After the installation, restart your browser and open your wanted Tumblr music post. Then, you can play the music, and Audio Downloader Prime will automatically detect and remind you of the music which is available for download. After that, just click the Audio Downloader Prime icon at the top-right corner. On the pull-down menu, click the download button to download Tumblr audio. 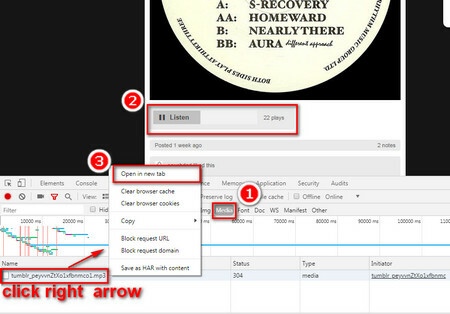 Want to Convert the Downloaded Tumblr Audio or Video to Other Formats? Just Try this One! After downloading music or videos from Tumblr, if you need to convert the formats, then, HD Video Converter Factory Pro is the best choice. 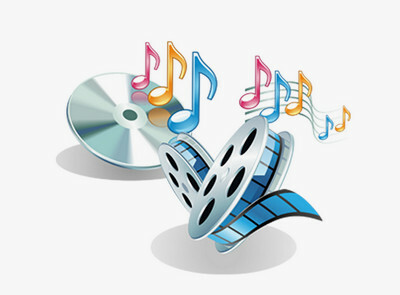 It supports converting audio and videos to 300+ formats without any quality loss. You can easily convert Tumblr to MP4, convert MP3 to WMA, convert MP3 to AAC, etc. Also, HD Video Converter Factory Pro provides a downloading function. You can download audio or videos from over 300 main video-sharing websites just in one click. Moreover, it enables you to convert the downloaded videos to audio, like converting YouTube to MP3, converting Facebook to MP3, etc. HD Video Converter Factory Pro is the most professional audio and video converter, supporting converting to 300+ audio/video formats and devices. Its high speed converting function can convert a large audio file in an instant. Also, the downloading function makes us download videos and audio in an easy and fast way. Especially the 4K videos downloading makes it stand out from lots of video downloaders.